Q: The ACR has been focused on improvements in price transparency and limiting surprise billing with Medicare. With these topics having bi-partisan appeal, what do you foresee as the next nationwide steps for surprise billing/patient protection legislation? A: The ACR, along with many of its medical specialty and state societies, strongly support efforts to take the patient out of the middle of these reimbursement issues. We anticipate that states will continue to address the issue of surprise billing and that there will be legislation introduced in the US Congress as well. Q: With fewer than 6% of elected officials in Congress having a background in healthcare, how is the RADPAC helping to bridge the gap in educating the other 94% of the Senators and Representatives without a healthcare background? A: RADPAC is preparing for an aggressive outreach effort to members of the new Congress to educate them about important issues specific to radiology. One of the outreach efforts involves planning site visits with Members of Congress touring radiology practices to see and learn first-hand how radiology works and its important role in the delivery of quality healthcare to patients. Second, RADPAC is utilizing its resources to attend events with Members of Congress to build relationships and both in DC and to create local connections with radiologists in congressional districts throughout the country. Q: What is the ACR's stance on the increase in the percentage of reimbursement being tied to quality? Is it in the best interest of patients? Is it in the best interest of radiologists? What do you expect for the future of the Quality Payment Program and its influence on non-Medicare payers? A: The American College of Radiology is, and has been, supportive of efforts to transition reimbursement from a quantity basis to a quality basis and has been working with the Centers for Medicare & Medicaid (CMS) through its annual comment periods to realize that goal. It is always the hope of the College that the adoption of these quality initiatives eventually will benefit all patients, both in Medicare and non-Medicare programs. Q: What other issues is the ACR focused on? A: The College will continue to focus its legislative and regulatory efforts on ensuring that patients continue to have access to the lifesaving diagnostic services that medical imaging provides. Some imaging-related issues include: ensuring the final implementation of the Patient Access to Medicare Act’s (PAMA) provision to require consultation of appropriate use criteria (AUC) by physicians who order advanced medical imaging services, the inclusion of CT colonography as a colon cancer screening option under Medicare and maintaining the current Medicare breast cancer screening guidelines that allow women 40 and over to obtain annual screening mammograms. Ted, thank you very much for your time and insight. We greatly appreciate all the work that you are doing at RADPAC and the ACR to increase the exposure of federal policy shaping within the field of radiology. Subscribe to this blog to never miss a new article from HAP. 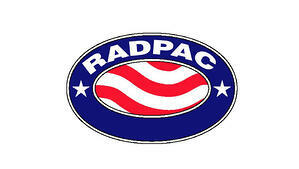 RADPAC is the bipartisan, multicandidate political action committee of the American College of Radiology Association (ACRa). RADPAC’s goal is to support and elect pro-radiology candidates at the federal level through the voluntary contributions of dues-paying ACRa members. RADPAC only engages in federal election activity and these activities are governed by the Federal Election Commission.